Is anyone else still out there hunting? I have had the big woods to myself for some time now. Still working hard to get my first bowkill this year (tough season for me). Had some good opportunities recently but there are so many eyes in these yarded up herds. I plan to try again in the nasty weather Sat morning. Maybe get one sneaking through the thick laurels on the edge of the herd. I even have a hunt planned for Jan 31st evening...the last hours. Any other nut cases out there still at it?? I hope to get out there this weekend. been away home in California for Christmas. I wonder which one of us will put a deer down first. Good luck to you! Tony are you hunting these last days of the season?? I'll be out there till the last hour of the 31st....it's a long time till Sept 1st!!!! You guys are men after my own heart. Yes I am still out there going at it. I am trying to catch up with that Yohon fellow(LOL). But so far the season have been good. Good luck to all in the little time we have left. I have planed to take off on the 31st and hunt all day right into dusk. Shoot Straight and Good Hunting. John, I guess you are hunting over Del.on the 1st. cause as long as I can remember the 15th of Sep. was our opener..."Yohan the Yogaman"
I was covered in deer Sat. Snow/rain stopped just in time to enter the woods. I sat on the ground and had 15 deer around me. Picked a nice fat doe out at 25 yards and shooting the longbow uphill from a stool got me....lower limb tip hit the ground and ruined my shot. Still was a great hunt! Almost had a follow on shot, they never knew I was there! Well my plan was to go out and hunt most of the day on the 31st, but unfortunately a bad cold kept me inside. But I did take #7 this past Saturday(25th). I took another skin head with my 1959 Bear Kodiak Recurve and Bear Razorheads. So now start the 7 1/2 month wait until the season opens again. 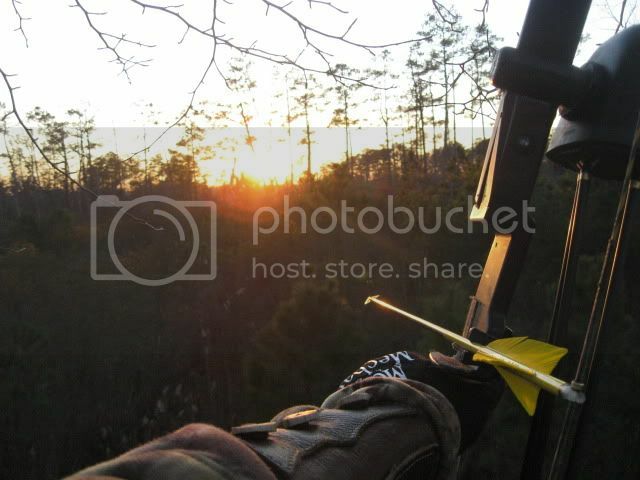 In the mean time, I plan to get some Hog and Turkey hunting in along with summer time Groundhogin and some Bowfishing. Shoot Straight and Good Hunting. Wow congrats Tony. Great picture Yohon. You guys going to the rabbit hunt? I also got out this past weekend but as per usual... no dice. had a great time with good friends though. 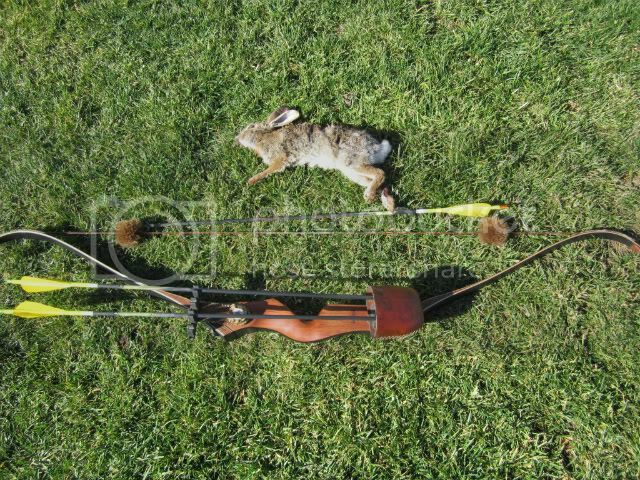 Will be there tryin to get an arrow and a bunny to end up in the same spot LOL!!!! No luck for me in the 2 hunts on the 31st.. Ah well. I'll be after squirrel and bunnies till the end also... saw a couple one day but they are fast buggers and couldnt even get a draw on em!